When you’re on the run with coffee in tow, it’s easy to fear reaching your destination only to find your bag—or the front of your favorite shirt— soaked with coffee. You have the best of intentions: trying to keep some extra cash while simultaneously saving the earth from another styrofoam cup. Fear not, dear reader! We’ve compiled the best travel coffee mugs to save you from soggy shirts and water-logged laptops. And if the thought of cold coffee makes you weepy, we’ve picked a few insulated mugs guaranteed to keep your favorite beverage steaming for hours. Travel mugs are generally made out of plastic, ceramic or glass and stainless steel. Mugs made of ceramic or plastic aren’t as durable and won’t retain heat for long. Plastics can also hold an aftertaste. If you’re super sensitive to the taste of coffee kept in stainless steel, rest assured that most travel coffee mugs lined with stainless steel are coated to prevent any off-tastes. In our opinion, this is better than opting for a mug with a ceramic liner, which can easily break. Keeping all of this in mind, we recommend going with something stainless steel. Double-walled and vacuum insulated are other qualities of the top travel mugs and will help keep your beverage hot for longer. Most mugs do best when washed by hand. This helps preserve the vacuum seal, which can be broken down over time in the dishwasher. Arm yourself with a decent bottle brush and if funky flavors develop, simply soak the mug in in baking soda. 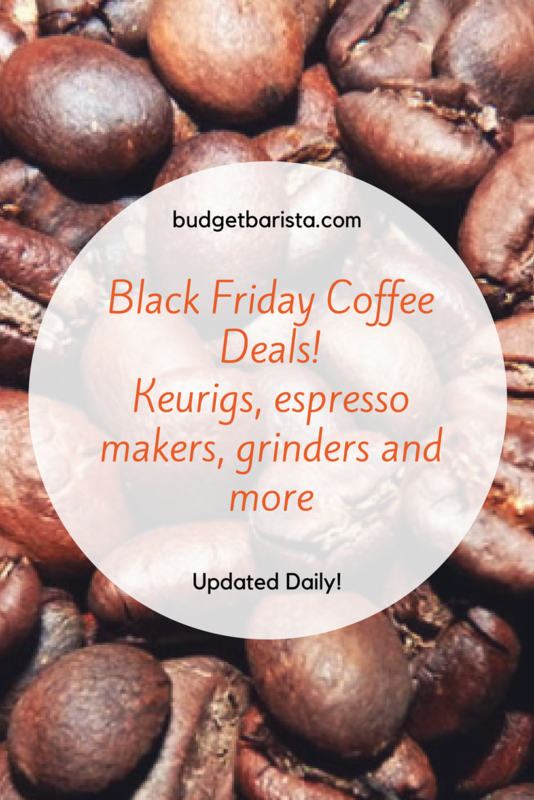 We steered clear of travel coffee mugs that had flip latches or other complicated means of getting to your beverage. We firmly believe that something made for on-the-go use should be able to be operated one-handed. Texting while sipping is an all-too-real scenario. A two-handed task is too much to ask of the weary commuter. All of our picks and simple and easy to use. 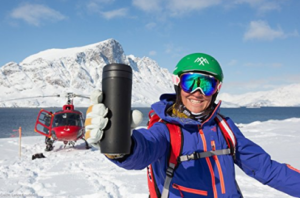 Available in an array of colors, the Contigo Autoseal Westloop uses Thermalock insulation and Autoseal Technology to ensure that nothing leaves your mug…ever. We’ve tipped the Westloop over in bags, watched it chuck off the back of our car and witnessed it rolling under the car seat, yet nary a drop of joe has exited the canister. For the money, this is a great commuter coffee mug. A top switch keeps it locked. 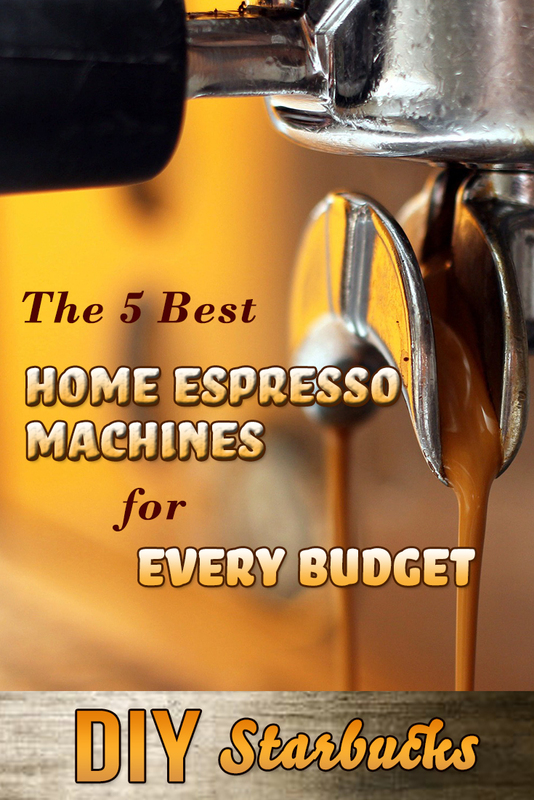 Just flip the switch and press a button for instant coffee gratification. It easily fits into standard cup holders, backpack bottle holders and bike bottle cages. Just be sure to buy this newer model, as Contigo has redesigned the lid for easier cleaning. For those who demand firewater all day, this is the travel coffee mug for you. For those who like to sip quickly for the caffeine hit, you may end up with a burned tongue. We like the utilitarian design and minimalist colors too. The Zojirushi is also a snap to operate: just flip the top and sip. It also has a secondary locking mechanism. 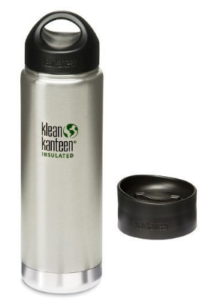 Plus it’s the sturdiest design we’ve found (though the Klean Kanteen Wide Mouth Insulated Bottle is right up there). One possible deal breaker is that, compared to other mugs, this one is tall and thin, causing it to slip out of some cup holders. 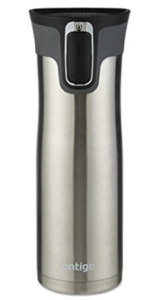 The Contigo really is more of an ideal size and comes with more color choices. But for a consistently hot beverage that comes in a durable bottle, nothing beats the Zojirushi. 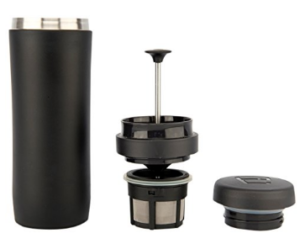 For freshly pressed coffee or tea on the go, the Espro Coffee Travel Press nicely fits the bill. A successful Kickstarter project, the Espro rises above other travel French Presses for a few reasons: It keeps liquids hot, has a double filter to greatly reduce sediment and has a second locking lid, making it leak- and spill-proof. The only gripe we have is that this press doesn’t come in a larger size and, while you can sip away one-handed, you’ll need two hands to remove the lock-tight lid that keeps it from spilling. Klean Kanteen’s Wide Mouth Insulated Bottle doubles as a water bottle. 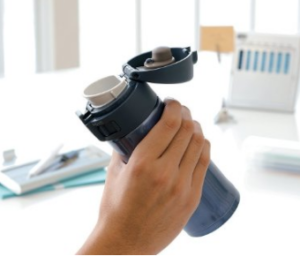 Two lids makes it easy to switch between the Cafe Cap, for spill-proof sipping or a traditional cap with a hook for easy toting as a water bottle. If you’re camping or have a rugged commute, the Kaneen is a real workhorse, is spill- and leak-proof and stands up to falls, even on concrete. 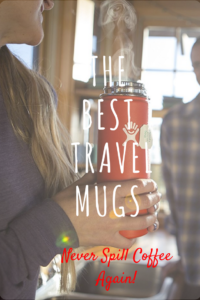 As one of the pricier travel coffee mugs, we recommend it if you’re seeking extra durability or want one canister that fits the bill as a water bottle and coffee mug.